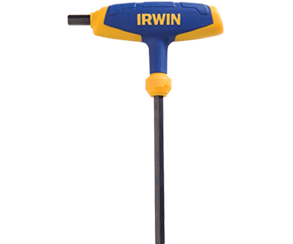 IRWIN TOOLS manufactures and distributes professional grade hand tools and power tool accessories worldwide for trade professionals who demand superior performance and durability on the job. 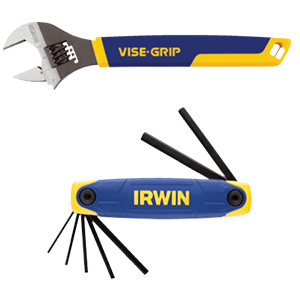 IRWIN TOOLS’ brand portfolio features user-preferred category leaders such as IRWIN, Vise-Grip, Marathon, Quick-Grip, Speedbor, Strait-Line, Unibit, and Hanson. Supported by a global network of world-class manufacturing facilities and bolstered by our partnerships with leading global retailers, IRWIN continuously sets the professional standard in each and every market segment in which we compete. 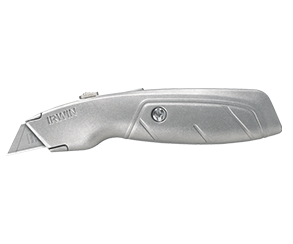 IRWIN’s process of innovation begins and ends with the trade professional. 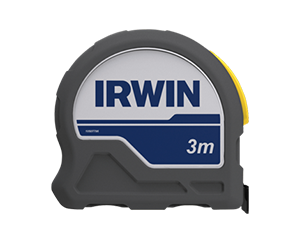 From product feedback and development to distribution and use in the field, Irwin dedicated itself to delivering quality tools that meet the stringent requirements of our toughest critics – professional tradesmen. 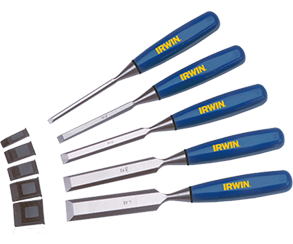 IRWIN® woodworking tools embody a long tradition of craftsmanship and our chisel remains one of the finest on the market, recognised by professionals as setting the standard for all others. With many unique features developed through continuing innovation, our comprehensive range of tough, dependable chisels will tackle the most intricate or demanding job effortlessly. 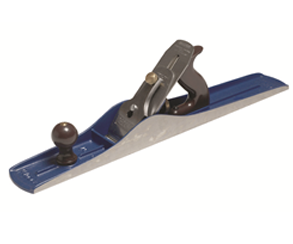 IRWIN® Record® bring decades of experience, well proven design and advanced production techniques to produce this fine range of woodworking planes. 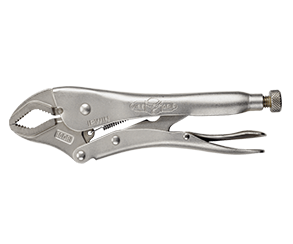 IRWIN® Record® Heavy-Duty G-Clamps are the strongest you can buy. 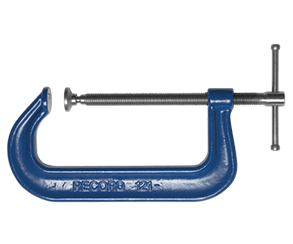 Recommended particularly for metalworking and fabrication work where a very high clamping force is demanded. A new collection of best-in-class knives developed from intensive research on the needs of professional users. This highly innovative range meets the high standards required by today’s professional users – where safety, durability, convenience, and comfort are the most important factors. 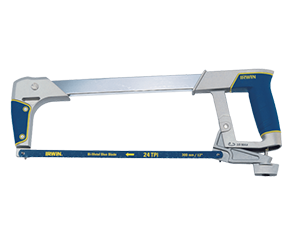 The IRWIN® Hacksaw frames are built to meet the professional’s demanding needs. 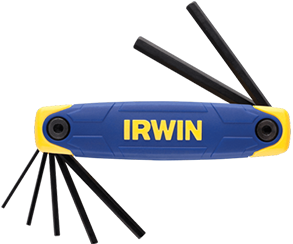 The durable IRWIN® frames make cutting quick and easy. 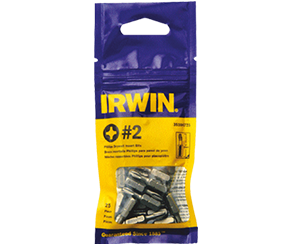 IRWIN® Insert Bits are engineered for use in hand-driving applications or with power tools when used with the IRWIN® Insert Bit Holder. 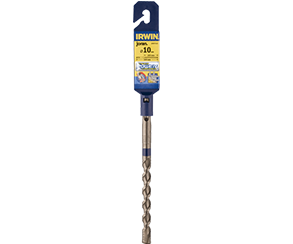 IRWIN® Power Bits are specifically designed for the higher torque requirements of power tools. They are designed to provide more clearance between the power tool & the fastener. This comprehensive reciprocating saw blade offering has a blade for every application. 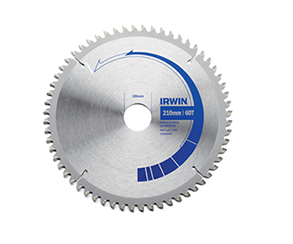 IRWIN® blades offer superior construction & design making them faster cutting and longer lasting, therefore giving the user a superior cost-per-cut value. 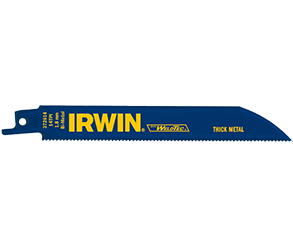 The IRWIN® reciprocating range includes colour-coded packaging and labeling on the blade to easily identify the right blade for the right application.